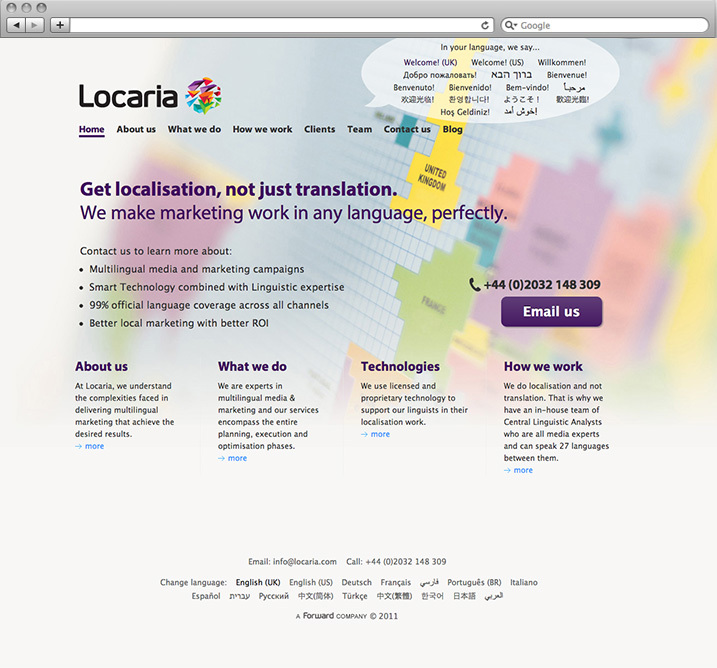 Locaria (Forward's multi-lingual online marketing agency) has a website available in 15 languages. However it was important for the team to communicate how they localise their services, rather than just translate. The design accommodated itself for different cultures with changes to the colour scheme, text sizes and background image. I used large map imagery in the background to liven a text-heavy site and provide a local context.